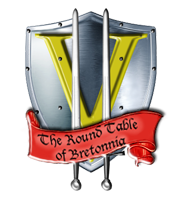 As part of our eighth anniversary, the Round Table again hosts a painting competition. Until the end of the 10th of December 2013 GMT everybody can upload their submissions in the category "Anniversary Painting Competition" in the Gallery. To participate, just upload the image in your Gallery User Panel and choose Anniversary Painting Competition as category. Like last year, this competition will feature a motto: Peasant Rebellion. You can follow that motto with your submission, but you are not forced to. In the judging process, bonus points will be awarded to submissions following the theme.